Low sodium levels (hyponatremia) in neurology patients can lead to seizures or coma. 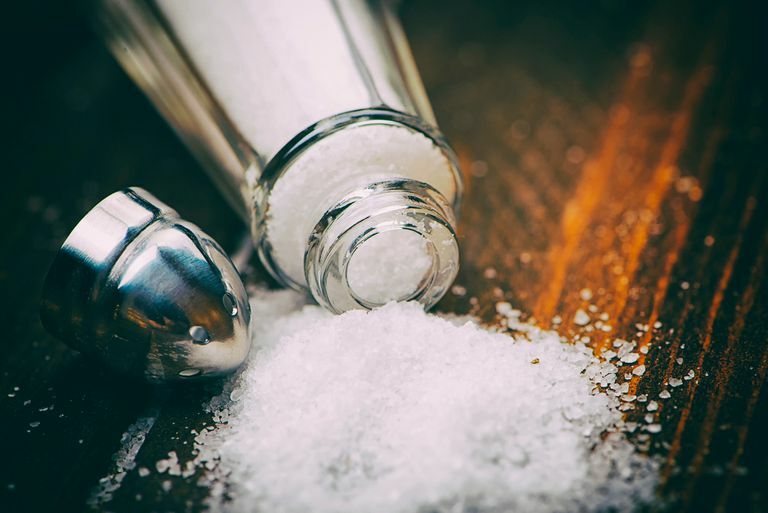 In patients with brain damage, low sodium level concentrations in the blood may cause fluid to leak across the walls of blood vessels and worsen swelling in the brain. On the other hand, a sodium level that is too high (hypernatremia) is usually a sign of dehydration. In extreme cases, this can also lead to seizures and coma. Checking electrolytes like sodium, potassium, calcium, and bicarbonate is common practice in the hospital. In fact, an electrolyte panel is often included in a daily blood draw just to ensure that the levels of these important chemicals are within normal limits. While some would argue that checking these every day is excessive in many patients, there are very good reasons to be concerned if electrolyte levels aren’t normal, and they should certainly be checked at least daily in a neurological intensive care unit. Because brain swelling can lead to herniation, further brain damage, and death, doctors in the neurological ICU often take special care to avoid low blood sodium levels. Unfortunately, disorders like subarachnoid hemorrhage, brain tumors, stroke, and meningitis can all cause hyponatremia, and thereby worsened brain swelling. The way they do this is by altering normal hormonal control of water and sodium levels in the body. There can be an increase in the amount of fluid. In reality, the latter situation is more common and it may help to picture five ping-pong balls floating in a jar of water. Each ball represents a molecule of sodium. If the jar of water is small, the balls will be tightly packed together—this is the same as saying the concentration is high. If the jar is gigantic (i.e., lots of fluid), the balls will be very far apart—this is the same as saying the concentration is low. In reality, the number of ping-pong balls stays the same. Usually, hyponatremia actually represents a greater amount of fluid, like the case with the gigantic jar of water. Syndrome of Inappropriate Antidiuretic Hormone Hypersecretion (SIADH). This syndrome is one way that sodium concentrations can become low. Antidiuretic hormone (ADH) is normally secreted by the body to preserve water. This can be very useful, for example, on a hot summer’s day. The hormone is usually held in check when fluid levels reach a certain amount. In SIADH, the usual brakes on ADH secretion do not work, and the body keeps absorbing water. Unfortunately, many neurological problems cause SIADH, which drops the relative amount of sodium in the bloodstream and can worsen brain swelling. This can lead to a downward spiral where a problem like meningitis causes SIADH, which causes brain swelling, which worsens SIADH, and so on. SIADH can also be caused by other problems besides neurological damage. For example, lung problems like cancer or pneumonia may also cause SIADH, as can many drugs like carbamazepine and amitriptyline. The illegal drug ecstasy may also cause SIADH. As we’ve discussed, although SIADH causes low sodium concentrations, it does so due to runaway water absorption. The treatment, then, is to minimize how much water the patient receives, and ensure the underlying cause is addressed. Cerebral Salt Wasting Syndrome (CSWS). This syndrome is also caused by brain damage, also causes sodium loss, and can, therefore, be difficult to distinguish from SIADH. However, the mechanism is very different. Cerebral salt wasting is an exception to the rule that hyponatremia actually represents abnormally high levels of retained fluid. As the name suggests, cerebral salt wasting is actually caused by the body ridding itself of salt. Going back to our earlier example, it is as if ping-pong balls were actually being removed from the jar, causing the concentration to drop. Cerebral salt wasting usually appears about a week after brain injury and resolves after two to four weeks. However, it can occasionally last for a longer time period, lasting even years. While SIADH can cause the body’s overall fluid level to increase or at least stay the same, cerebral salt wasting leads to dehydration. This is one of the only ways to distinguish between the two problems, especially in a patient who is unconscious or comatose. It is important to attempt to tell the difference between CSWS and SIADH because the two problems are treated very differently. In CSWS, the patient needs fluids or they’ll become dehydrated. In SIADH, the total body level of sodium is actually staying the same, but the amount of sodium per measurement of water falls because the body is retaining more water. Giving fluids will only make the problem worse, and so patients with SIADH are treated by restricting the amount of daily fluid they can receive. Telling the difference can be challenging, and is just one of many reasons why patients benefit from specialized intensive care units when they have suffered severe neurological injury. Braunwald E, Fauci ES, et al. Harrison's Principles of Internal Medicine. 16th ed. 2005. Why Would God Create Neurological Disease? How Can Ambien Treat Brain Damage in Coma, Dystonia, Stroke, and More?